We have provided some examples to highlight the difference between various correct and incorrect pieces of uniform and equipment. Design of the Obr. 35 gymnasterka. 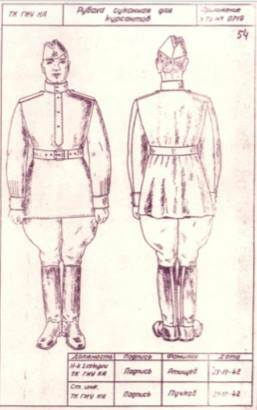 Note the breast pockets and the pointed collar with insignia. Design of the Obr. 43 uniform. 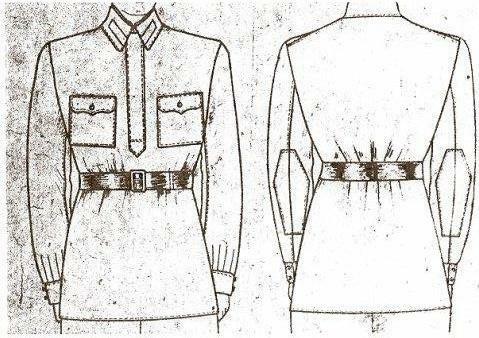 Note the upright collar, epaulettes and absence of pockets. 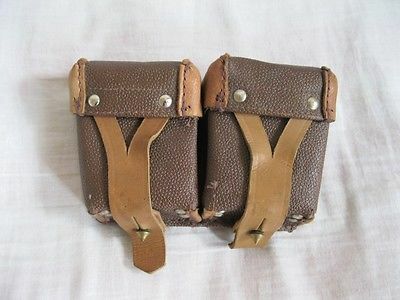 Post-war Mosin Nagant ammunition pouches made of kirza (rubberized canvas). These are never acceptable for use in Krasny Oktjabr. Plash palatka with metal rings. 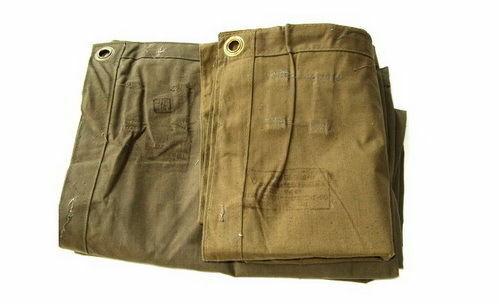 These are (late) postwar and incorrect for use in Krasny Oktjabr. Plash palatka with the correct, leather rings.